Derale Electric Fan - Tornado UNIVERSAL - Dezod Motorsports Inc - Home of the automotive performance enthusiast since 2002. 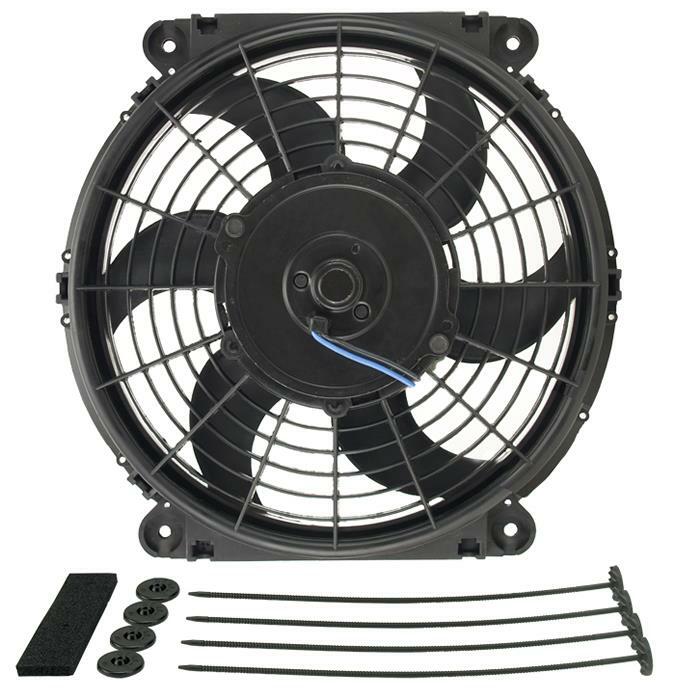 One of our most popular models, Tornado fan uses performance blades, producing up to 2150 CFM at 0 static pressure while drawing as low as 3.6 amps. Some kits includes a high quality single stage fan controller with preset 180°F-on and 165°F-off temperature controls and includes both a push-in radiator probe and a water jacket probe, plus all necessary installation hardware. Made in the USA.